CCEMTP℠ was designed in response to the growing need for qualified specialists in the area of critical care inter-facility transfer. It helps to prepare paramedics and nurses to serve with competence and confidence in meeting the needs of critical care patients undergoing inter-facility transports. While traditional paramedic education programs teach essential skills and provide a knowledge base for the management of patients in the pre-hospital setting, these training programs frequently do not teach the skills and knowledge necessary to manage critical patients between hospitals, specialty referral centers, and extended care facilities. The CCEMTP℠ program will assist the clinician in developing the necessary skills and knowledge to manage critical patients during a high-risk transfer. 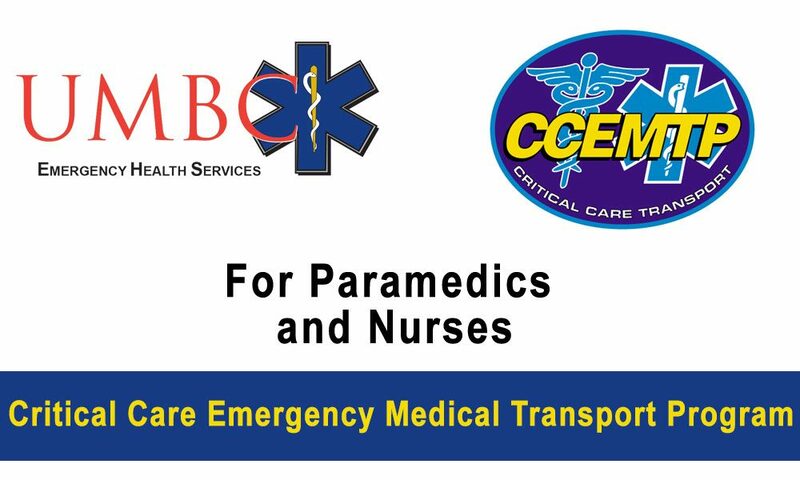 Essentially, CCEMTP℠ is “post graduate education” for the paramedic or nurse that attempts to standardize training and level of care in inter-facility transport. The Critical Care Emergency Medical Transport Program brings paramedics and nurses together in an effort to bridge the gap between pre-hospital and hospital care. The result is a specialized care provider that has an understanding of both aspects of patient care, and uses the understanding to provide the highest level of care to critical patients during transport. Paramedic requirements: Recommended minimum of one (1) year as a paramedic. Additional requirements may be current certifications in CPR, ACLS, ITLS/PHTLS, and PALS/PEPP/PPC. Nurse requirements: Recommended minimum of one (1) year as a nurse, Additional requirements may be current certifications in CPR, ACLS, PALS/PEPP/ENPC, and ITLS/PHTLS/TNCC/TNATC. Provider Course: 110-hour course for paramedics, nurses, physician assistants, nurse practitioners and physicians and any other healthcare professional that requires this certification. Upon successful completion of the course, students receive a certificate of completion, and a card recognizing them as Critical Care Providers.